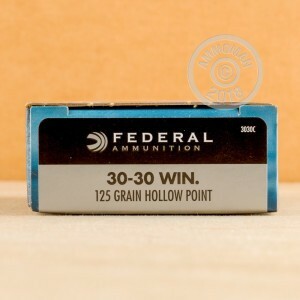 This is 30-30 125 Grain Federal Power-Shok HP ammo. Federal's Power-Shok line provides consistent, proven performance for hunters without breaking the bank. 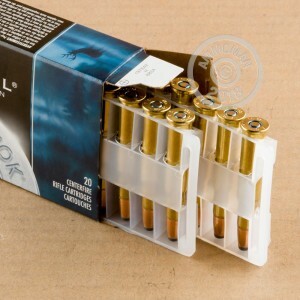 These rounds are perfect for medium to large game because of the 125 grain hollow point round designed to expand on impact. 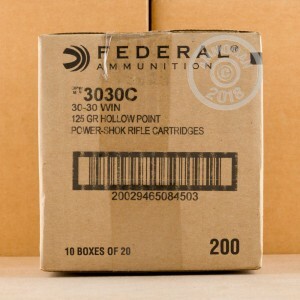 Federal has a reputation for producing reliable ammunition by coupling quality with premium bullets. Federal's ammo is manufactured in Anoka, Minnesota and are brand new, brass-cased, boxer-primed, non-corrosive, and reloadable. Pick up this case today for Free Shipping from AmmoMan.com!